From gas to electric to tankless water heaters, Lowe’s will ensure that is installed to your satisfaction by using professionally independent, licensed contractors in your area. All labor, according to the company, is backed by a minimum one-year labor warranty. How much does water heater installation cost at Lowe’s? The costs to have Lowe’s install a water heater you purchased from their store will greatly depend on the current promotion, the type of water heater being installed and the scope of your project based on the research we did online. Based on these factors, the costs for the basic install only would range anywhere from $250 to $425 and again, would not include the costs of the actual water heater. However, if you factor in the additional costs, which we describe below, the entire install can reach well into the $500 to $650 range+. 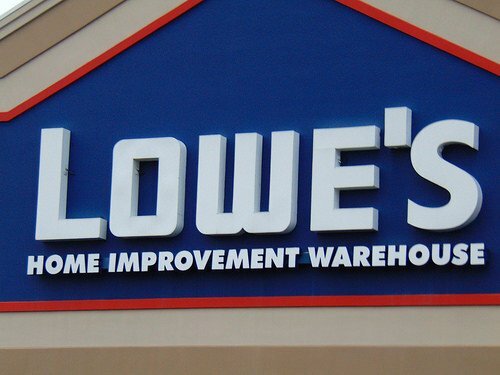 Since each job can be a pinch different, only Lowe’s can offer an exact quote via their inspection, while we can offer an “estimate.” We recommend you use the checklist below to add up the costs as well as visit your local Lowe’s to discuss your project to see if they can offer an estimate as well. Inspection fee – Aside from the basic install costs mentioned prior, you will also have to pay an inspection fee before the install, usually around $40; however, this fee is waived if you do decide to hire Lowe’s to install your water heater. Delivery fee – A delivery fee, which is not waived, will cost about $75 and should be added to the estimates above. However, you can save money if you were to pick up the water heater with a truck. Piping – From the research we did, if you needed to upgrade your piping, usually from the black piping to white, can cost an average of $200. Lowe’s will be able to confirm, via its inspection, if you need the piping upgrade or not. Disposal – Disposing of your older water heater, while optional, will cost an additional $50 or so. To get started with the install, you can do so in two ways: either via the official website by filling out the form, where a representative will contact you to set up an install date, or in-store, where you can speak with a customer service associate who will be able to help set you up with a labor install date and/or answer any questions you may have in relation to the water heater install.